Gunnison gets a 3 paw park rating since it has 2 trails open for pets; additionally pets are allowed at all of the overlooks. 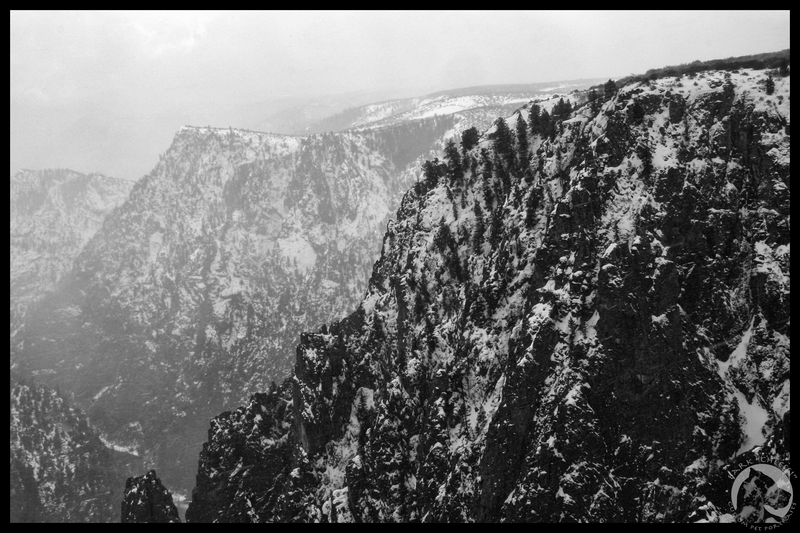 The canyon is over 2700 feet deep, and you can access it from either rim, however the north rim road is not paved and both roads are closed in the winter, but the south rim road is open as far as the visitor center. Be aware that it is a 2.5-3 hour drive from one side of the canyon to the other when the roads are open. There are pet friendly trails on both of the rims. The south rim trail is called Rim Rock trail; it is a moderate 2 mile round trip between the campground and the visitor center along the rim of the canyon. 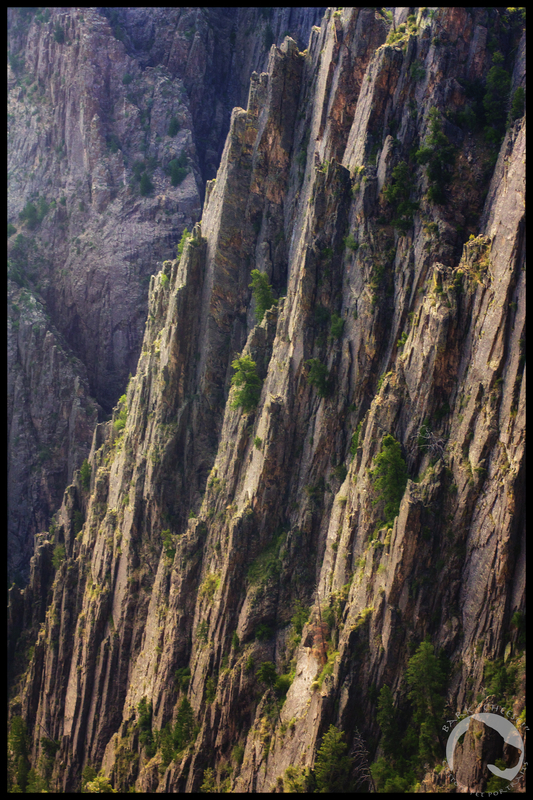 The north rim trail is called Chasm View Nature trail and is a short 0.3 mile easy walk. There are 9 overlooks on the south side and 5 on the north side where pets are allowed. The south rim campground is the only one open year round, but electrical sites are only available in the summer. Summer tent camping is also available at the east portal, however the road has a 16% grade with hairpin turns and is limited to vehicles shorter than 22 feet. Camping on the north rim is limited to 13, first-come, first-served sites. While the pet areas are limited, the park is worth a visit for some incredible views. 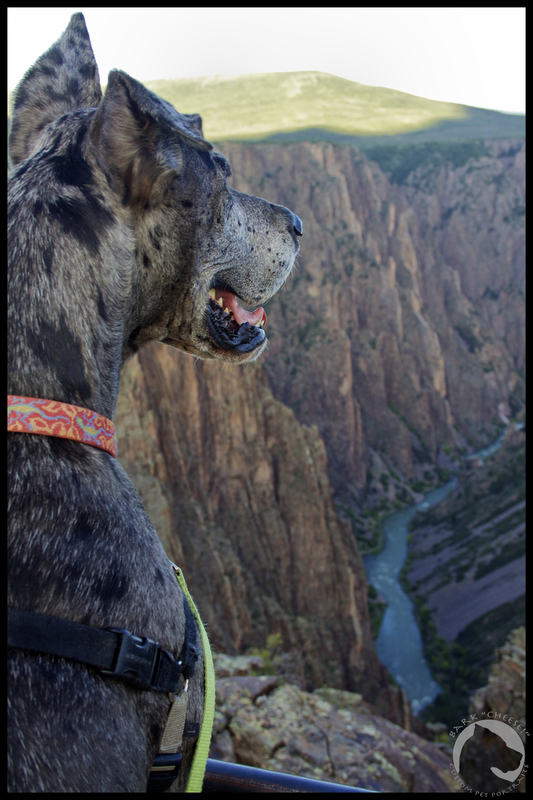 This entry was posted in new and tagged Black Canyon of the Gunnison, camping, Colorado, Great Dane, hiking, National Parks, pet portraits, traveling. Bookmark the permalink. Wow, great photos! Well done. I had occasion to visit there a few years ago, and it was a magnificent land. Well worth the trip indeed.